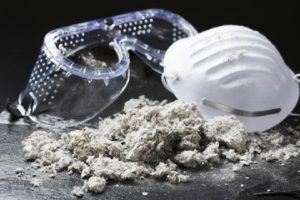 It is our mission at Bend Asbestos to help identify and test for traces of asbestos in your home or commercial building. Asbestos in a dangerous mineral used in building materials that have traces in many older homes across Central Oregon. It’s important to note that asbestos cannot be seen with the human eye. That’s where we come in! We employ certified inspectors that can help identify potential asbestos materials throughout your residential property. Utilizing specialized techniques and technology, our asbestos inspectors will provide you with a comprehensive report so that your family is informed. We are a small family owned business. Our goal is to do one inspection at a time and provide your family with comprehensive results. Our focus is asbestos testing for home owners and home buyers. We also provide asbestos surveys, AHERA surveys and commercial asbestos testing as a service. It is our mission to ensure that you are safe from this dangerous mineral found in many homes. Our asbestos inspectors serve all of Central Oregon including Bend, Redmond, Prineville, Sisters , La Pine and the surrounding area. When it comes to asbestos testing and bend home inspections, be sure to hire an experienced inspector.